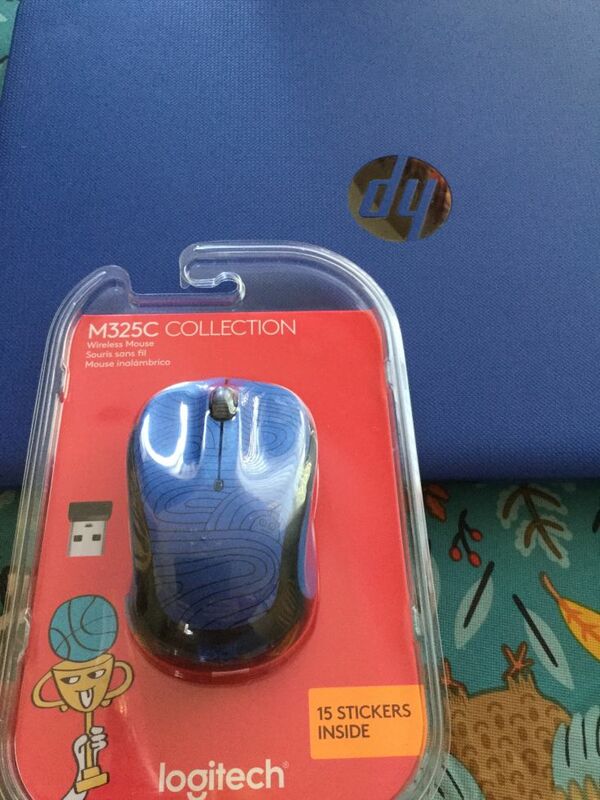 My brand new NaNo mouse along with the laptop I picked up super cheap at the pawn shop over the summer which will be my primary NaNo device either on the road or at the kitchen table! But yesterday, sitting out on the deck reading one last book to prepare my mind for the month ahead, I had one of those epiphany things! Spending time deciding where to write and getting to these places is time I could be actually writing. It's all a big 'ol distraction. I can stay right here in town if I need to escape the house. I have access to various quiet buildings. If I don't want quiet, there are several coffee shops and restaurants I could occupy a corner of. I could probably even sit in a corner of the band room during lessons or after school rehearsal and type, type, type. I do like the idea of writing buddies and meeting other people who are attempting the same crazy goal of 50K written words in thirty days but the priority going in will be simply to meet my daily writing goals and if I accomplish those goals just popping open the laptop at my kitchen table over thirty days, that will be just as good as undertaking a NaNo tour of far-flung coffee shops. It's all about the writing.